This is part one of a three-part fifteenth-anniversary retrospective of Buffy the Vampire Slayer. It contains spoilers for the entire run of the show. Okay. That’s a bit of an exaggeration. Buffy the Vampire Slayer didn’t “change television as we know it”. At least, not in the beginning. In 1992, the filmed version of Buffy the Vampire Slayer was released to a fair, but not great, reception (it only has a 32 percent rating on the Tomatometer). That was twenty years ago. 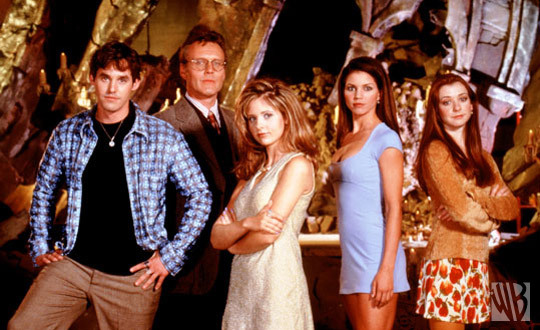 About five years later, give or take, screenwriter Joss Whedon’s televised incarnation of Buffy Summers launched on the WB Network (now the CW). Starring Sarah Michelle Gellar as the title character, and also featuring Alyson Hannigan, Nicholas Brendon, Charisma Carpenter, and Anthony Stewart Head, the show quickly gained popularity among… well, honestly, I don’t know who it was popular with, except to say that my college friends were really into it, going so far as to organize little viewing parties in the Honors Lounge. They invited me every time, but I declined. Last year, for lack of anything better to do on my lunch breaks, I decided to see what this Buffy thing was all about. Okay, not at first — every show has its growing pains in the first ten or so episodes — but the show quickly gained momentum thanks mostly to Joss Whedon’s writing talent and the way he oversaw the show. He didn’t write every episode, but as the showrunner he had control over the main story arcs, and he most definitely did not disappoint. Buffy ran for seven seasons — six and a half, actually, since the first season was only twelve episodes — and launched a five-season spin-off (Angel). It’s one of the most fanfic-laden intellectual properties out there (trust me; I looked), and even now the story still continues in an official, canon sense with Whedon overseeing the Buffy comic book series. How was Buffy different from other vampire stories? For starters, it wasn’t really, when it came to the vampires: they can be killed by sunlight and stakes through the heart; silver and crucifixes hurt them; they drink blood; they make more of themselves by having humans drink their blood; they’re faster and stronger than normal humans. But Buffy took it a step further, actually explaining how a vampire is made: when a person is killed by a vampire, their soul moves on to the next world and a demon takes up residence in the person’s body. Apparently all of these demons know martial arts, too, because right when they come out of the grave they’re pretty good fighters. So some folks many thousands of years ago imbued mystical powers into a girl — the Slayer — who was called upon to fight vampires (and anything else that falls into the general category of “evil”). She, like the vampires, is faster and stronger than normal people, and heals faster, too. She’s supported by a Watcher, a human member of a secret society whose job it is to keep an eye on “potentials”* — girls who might become the next Slayer after the current one is killed. They die young; fighting evil does that to you. The Slayer fights alone, one girl against the forces of darkness. But Buffy said no to that. She has friends — Willow, a geek who becomes a witch; Xander, a nice guy with a crush on Buffy; and even Cordelia, the queen of the popular kids who can always be counted on to say the wrong thing. And she falls in love with a vampire — again, nothing new here, but unlike a lot of other vampire fiction of the time, said vampire has renounced his old ways and is trying to help in the fight against evil. And that’s where the strength of the show really is: not “Buffy kills a lot of vampires using ninja moves and wooden stakes”, but the interpersonal relationships between the characters. It means a lot more to viewers when they care about the people they’re watching. Will Buffy’s mom ever find out about the slaying? How will she react? What will Willow do when she realizes her boyfriend is a werewolf? Is Xander’s home life really so bad that he’d rather fight evil than see his parents? And what’s behind that well-constructed British facade Giles shows the rest of the world? 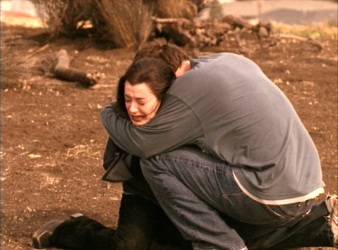 Whedon didn’t just do this with his heroes, either; even the villains got their due — Spike, the Big Bad of season two, is forced to make hard choices when Angel turns evil; the Mayor of Sunnydale, a relentless pragmatist, truly loves Faith, who knows he’s evil but loves him right back; even the Trio, the villains of season six, have their redeeming qualities despite their leader murdering one of the show’s most beloved characters. 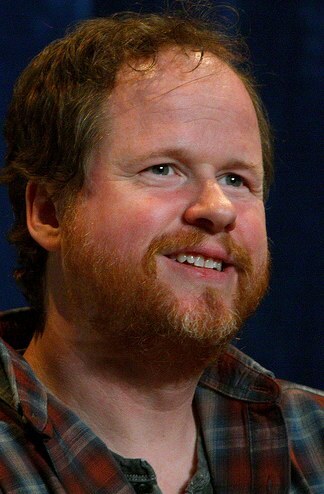 Joss Whedon, the man who gave us Buffy, Angel, Echo, Captain Tightpants, and so much more. It’s that — not the vampires, not the demons, not the pretty girls or the handsome guys — that made Buffy the Vampire Slayer worth watching all those years. 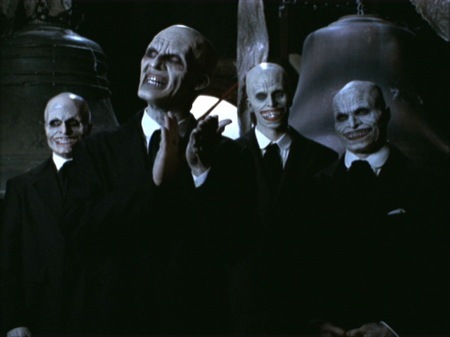 We watched to see how Buffy would save Angel, how Spike would be redeemed, how Riley would escape Adam, how Dawn would react when Glory threatened to kill her… and yes, how Buffy would defeat the most evil thing to ever be born of humanity’s desire to do bad. Through it all, we cared about these characters, from the stars of the show to the villains — reformed and not — and even as far as the occasional comic relief**. In the Whedonverse, every character matters, and that’s what makes the show special. March 10, 1997: the day that changed television for a lot of people. And continues to draw in new viewers all the time. The fashions may not hold up; the slang and pop-culture references might be dated; the effects in the early seasons are definitely iffy. But the storytelling will make this show worth watching even twenty, thirty, or fifty years later. I’d stake a vampire on it. I found this on the internet and thought it was apropos. Parts Two and Three will cover the top 25 Buffy episodes. * I just realized I used this same idea in a story I recently wrote — although mine was about Santa Claus, not vampires. So, Joss, if you’re reading this… please don’t sue me. ** Come on, now; who didn’t just adore Clem?